Chiropractic is the science, art and philosophy of locating and correcting vertebral subluxations through gentle, specific chiropractic adjustments thus allowing your body to function at it's optimum potential. Yes. Statistics prove that chiropractic care is one of the safest types of healthcare in the world. You only need to compare the malpractice premiums paid by chiropractors to those paid by medical doctors. Doctors of Chiropractic pay only a small fraction (approx. 1/20) of the price medical doctors pay in malpractice premiums. 250,000 people will die this year as a result of bad medicine, making this the third leading cause of death in the United States of America (The Journal of The American Medical Association, JAMA; Vol.284, July 26, 2000). Of the millions of people receiving chiropractic adjustments, each year, only a handful will even make a complaint. It is virtually impossible to adjust yourself. A chiropractic adjustment is a specific force applied in a specific direction to a specific joint. Often when people attempt to "crack" their own neck or back, it is counterproductive because it makes the unstable joints even more unstable. When spinal adjustments are attempted by anyone other than your chiropractic physician; further damage and discomfort can occur. Many insurance plans do cover chiropractic care. However, each company and plan is different, and has its own coverage and limitations. We are participating providers with BCBS, United Healthcare, Aetna, Cigna, MedCost and will accept assignment on additional plans. We also accept assignment for personal injury and worker's compensation claims. If you have specific questions on your coverage, call the customer service phone number on the back of your health insurance card, or call our office and we will verify your coverage for you. Compared to traditional healthcare, chiropractic is very cost-effective. It is our belief that everyone should be able to receive chiropractic care at a reasonable cost. Therefore, if you do not have health insurance coverage for chiropractic care, we offer very affordable fees and payment plans. Not usually. A doctor of chiropractic is a primary contact physician. That means that most people do not need a referral prior to seeing our doctors. There are a few managed care plans that require a referral. Call your health insurance company, or call our office and we can check your plan. If yours is not a chiropractic case, we will also refer you to the appropriate healthcare provider. Chiropractors earn the right to be called doctors through rigorous academic training and clinical internships at accredited chiropractic colleges. 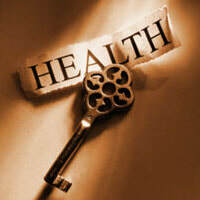 Training and licensing effectively qualify the doctor of chiropractic as a primary health care provider. North Carolina law requires doctors of chiropractic to have a minimum of eight years of study. Today's doctor of chiropractic is well educated with a four year education curriculum very similar to medical school. They acquire more than 2,000 study hours of biological and clinical sciences such as anatomy, physiology, neurology, orthopedics, biomechanics, nutrition, & diagnosis. In addition, they get more than 1,000 study hours of chiropractic sciences, such as bio-mechanics, spinal analysis and adjusting, and x-ray techniques and interpretation. Chiropractic doctors must also pass four demanding national board examinations. The state of North Carolina also requires continuing education and yearly license renewal. The birth process is often the cause of your child's first subluxation. A very soft and undeveloped spine of an infant can suffer trauma during delivery. It is estimated that as much as 80lbs of pulling pressure can be exerted to remove a baby from the birth canal. Then, as children grow up and become more adventurous, the number of injuries to their spines become countless. The repeated falls as children learn to walk, the running, jumping, twisting, bumping and falling all over the place while playing in the yard or on an athletic field will often cause your child to become subluxated. However, often children do not show any signs or symptoms of being subluxated until later on in life. Chiropractic Care offers your child a more responsive body, a more balanced flow of energy and overall increased performance as she/he passes through their windows of development. A subluxation free child also minimizes the risk of future health challenges. That sound is not your spine "cracking" or "popping" like most people think. That sound is created by gas (in this case, carbon dioxide) rushing in to fill the partial vacuum created when the joints are slightly separated. Another example of this phenomenon would be the "pop" sound you hear when the cork is taken out of a champagne bottle. Not all chiropractic adjusting techniques produce this noise. In fact, some adjusting techniques use little force and thus produce no noise at all. A misalignment of one or more of your spinal bones (vertebrae), which causes interference to your nervous system. If your nervous system is interfered with, your body's natural ability to heal itself and function at it's optimum potential becomes impaired. A subluxation is a perfect example of how structure effects function. This question is frequently asked because people associate the "cracking" or "popping" of one's back or neck with a chiropractic adjustment. The two are not the same thing. If a person has a desire to "crack" his/her neck or back it is often because one area of their spine is fixated or jammed causing another area to move too much and "pop", sometimes by itself. It's the fixated or jammed area that needs to be properly adjusted by a chiropractor so that the other parts of the spine will not be hypermobile and noisy. When you "crack" your back you may be relieving the tension for a little while. Do you notice how it keeps coming back? That is because you are not giving yourself a specific chiropractic adjustment. The cause of the spinal tension, the fixated or jammed (subluxated) vertebrae, has not been corrected. Any person who makes a habit out of "cracking" or "popping" their back or neck needs to go to a Doctor of Chiropractic to have their spine checked. Even a chiropractor cannot adjust him/herself. The extent to which you choose to benefit from your chiropractic care is ultimately up to you. Each and everyone of us is solely responsible for the quality of our health and well-being. However, we do strongly urge all practice members to consider lifetime, wellness chiropractic care. This is where the long-term, lasting benefits of care are enjoyed. Regular exercise and healthy eating habits are a lifestyle decision and so is lifetime, wellness chiropractic care. You need to remain subluxation free for life. Yes. Just because symptoms disappear, does not mean your subluxations are corrected. Most of the practice members seen in our office have spinal degeneration (decay) which has taken years to develop. The trauma of the birth process, slips, falls, accidents and countless other stresses over the course of your lifetime adversely affect the health of your spine. The longer you wait to have your spine checked by a chiropractor, the longer it will take to correct your subluxations. However, how you choose to use chiropractic care is ultimately up to you. It has been our experience that those who stop care when they are "feeling fine" return with the same health challenge(s) which brought them to our office in the first place...only it's usually gotten worse. On the other hand, those practice members who commit to long-term, wellness chiropractic care, find their health challenge(s) rarely return and they enjoy a higher quality of life and health.